An investigation by the Associated Press has discovered that "Google wants to know where you go so badly that it records your movements even when you explicitly tell it not to". Computer scientists at Princeton University confirmed the findings before AP went on to publish its story. This privacy issue could affect users of up to 2 billion Android and Apple devices. Many Google apps ask for your location. I've encountered the request on my Android phone when firing up the Maps app, obviously, but perhaps less obviously Search, Weather and other apps want to check your location before responding to your finger prods or queries. Now it turns out that my location will be checked and stored even if I've used a privacy setting to turn off such app/service behaviour. According to Google support "You can turn off Location History at any time. With Location History off, the places you go are no longer stored." However, AP's research says "this isn't true" and that "even with Location History paused, some Google apps automatically store time-stamped location data without asking." It goes on to say that this data is user-deletable but it is a laborious process to go through. Search: Even if the search would seem to have nothing to do with location Google determines "your precise latitude and longitude — accurate to the square foot," and saves it to your Google account. Princeton scientist and former FCC enforcement officer, Jonathan Mayer, commented that "If you're going to allow users to turn off something called 'Location History,' then all the places where you maintain location history should be turned off. That seems like a pretty straightforward position to have." However, Google defended its position stating that "There are a number of different ways that Google may use location to improve people's experience, including: Location History, Web and App Activity, and through device-level Location Services." The Google spokesperson added "We provide clear descriptions of these tools, and robust controls so people can turn them on or off, and delete their histories at any time." In brief, if you want to limit Google's checking of your location you thus have to turn off both 'Location History' (which only affects the visualisation of your movements on the timeline), and 'Web & App Activity'. 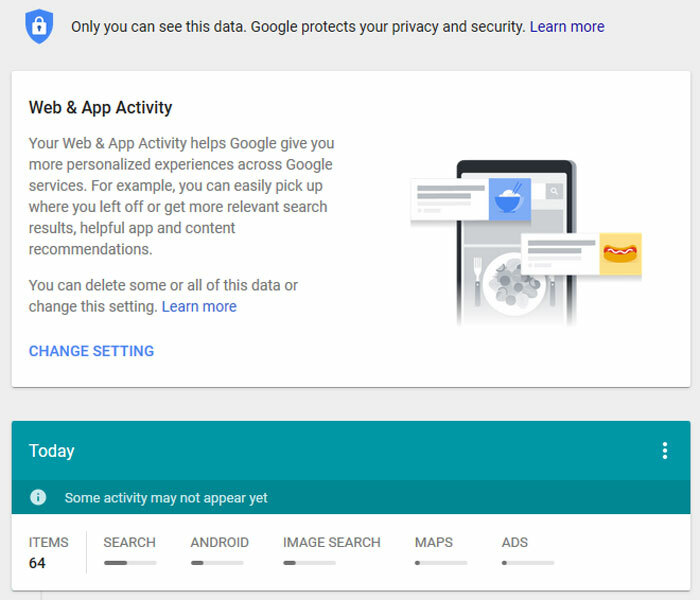 AP notes that you can check through the data currently stored via your Google account webpage at myactivity.google.com, "although they're typically scattered under several different headers, many of which are unrelated to location." Why would Google be even sneakier than we have grown to expect it to be? The answer very likely comes down to monetisation. Since 2014, Google has let advertisers track the effectiveness of online ads at driving foot traffic, and this is a feature that Google has said relies on user location histories. Google ad revenue last year rose to $95.4 billion and a big driver of this is location-aware tracking. This is why Google sometimes targets ads knowing where you have previously visited. Furthermore, Google has recently unveiled a new tool called 'local campaigns' that dynamically uses ads to boost in-person store visits. 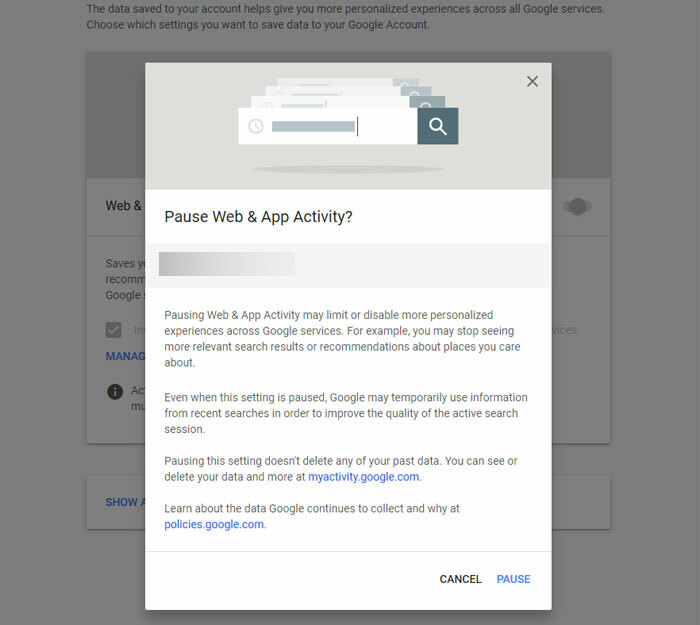 A potential drawback for Google services users to turning off 'Web & App Activity' tracking is that information generated by searches and other activity won't be remembered for use by Google Assistant, for example. This is about as surprising as finding out that ‘healthy junk food’ makes you fat. The only issue is multiple apps might be doing the same as will your mobile network.